One of our members has been featured in Business Franchise Magazine! Wade Morse of Base Zero will be exhibiting at the Franchising Expo and Business Opportunities at the Brisbane Convention Centre on 23-24 July. See and download the article scan here. Register and attend my Franchise Workshop on 7 and 8 August by clicking here. By attending you’ll discover how to grow a business asset you love and gain the time to live your life. And you will gain valuable information from our Expert Speakers on how to avoid the myriad mistakes too many franchisors make and you’ll enjoy mixing with like-minded people. If you haven’t booked yet, click here to learn more. The Franchise Council of Australia (FCA) is delighted to announce the appointment of Damian Paull as its new CEO. Are you looking for a franchise that supports people in your community? Are you interested in helping people live more independently and enjoy a better quality of life? Overwhelming the customer who steps inside your store with an experience and level of service that is out of the ordinary is the key to survival and success for retailers. Turn your ambition into action, at the Franchising Expo and Business Opportunities where you’ll be able to speak to franchisors and franchisees from a number of businesses, attend free seminars and more – all under one roof. 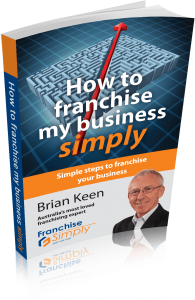 And Franchise Simply will be there so come and see us at Stand B33 this weekend 23rd and 24th July at the Brisbane Convention and Exhibition Centre, and find out all about this exciting industry. I’m excited to be presenting a seminar ‘How Do I Franchise My Business?’ at 11.30am on the Sunday – love to see you in the audience. Grab your FREE tickets here. Make 2016 the year you took your business to another level.